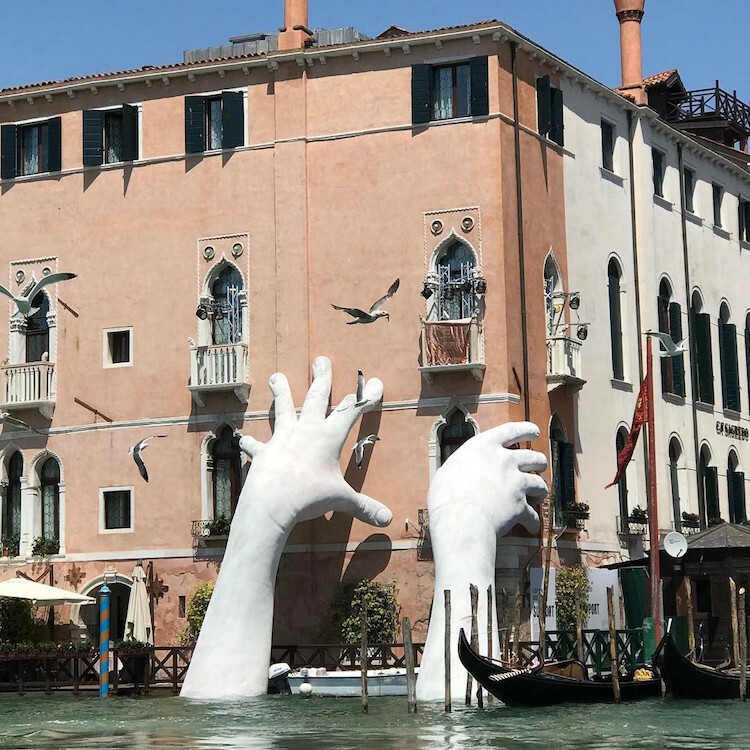 Historic architecture meets modern art on the canals of Venice, where a pair of gigantic hands emerge from the depths to lend support above the waterline. 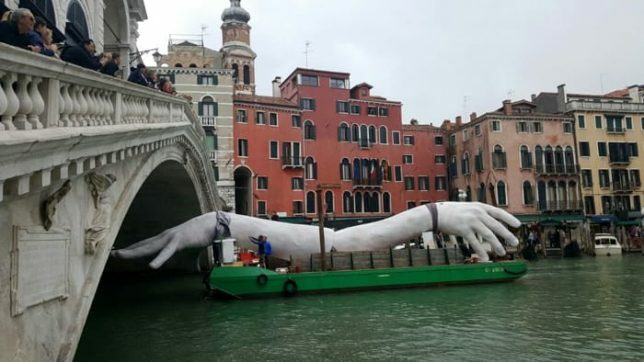 Designed by Lorenzo Quinn, “Support” was put into place a month in advance of the 57th International Art Biennale but is already drawing massive crowds ahead of its official debut. 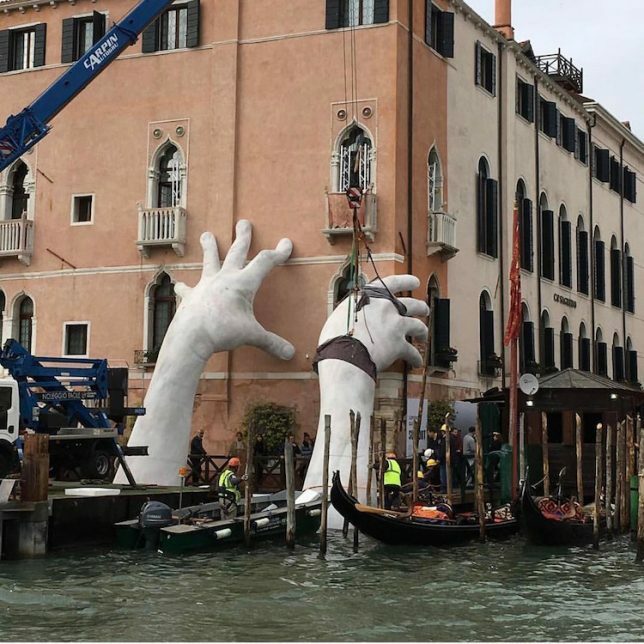 It was prefabricated and shipped into positioned down the Grand Canal, then assembled and positioned so that it appears to support the Sagredo Hotel, a structure dating back to the 14th century. 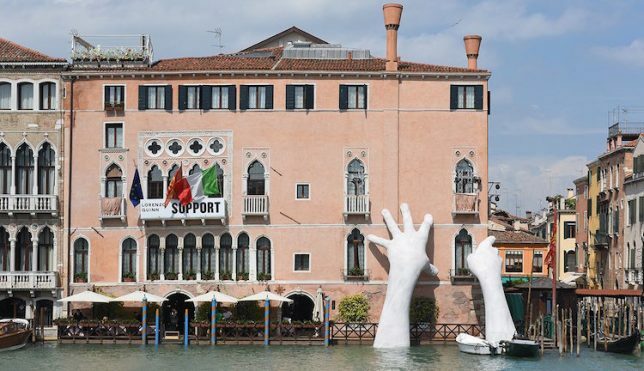 Like many historic buildings in the city, this one rises straight up from the water — also like others, it is threatened by the prospect of higher sea levels as well as sinking and settling of the ground below. “I wanted to sculpt what is considered the hardest and most technically challenging part of the human body. 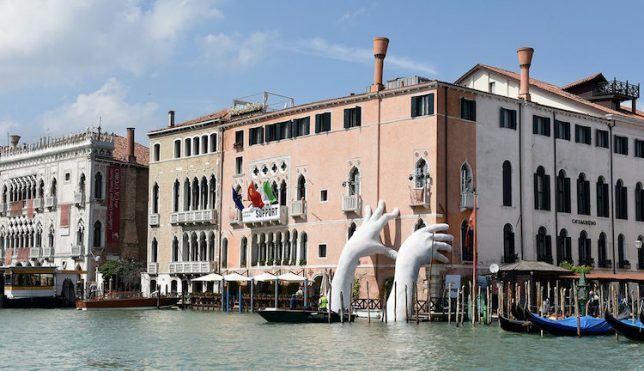 the hand holds so much power – the power to love, to hate, to create, to destroy” says the artist. “Cose” interessanti. #biennaledivenezia #venezia #lorenzoquinn #biennalearte2017 #manigrandi #solocosebelle #ENERGIA?????? 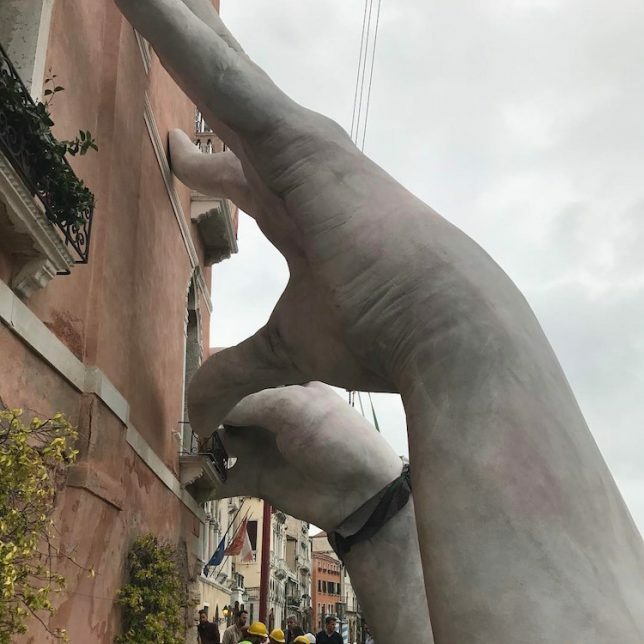 Le mani sono strumenti che possono tanto distruggere il mondo quanto salvarlo e trasmettono un istintivo sentimento di nobiltà e grandezza in grado anche di generare inquietudine poiché il gesto generoso di sostenere l’edificio ne evidenzia la fragilità. #venezia#venice#casagredohotel#mani#scultura#arte#support#lorenzoquinn#igersvenezia#igersveneto#loves_united_venice#loves_venezia#loves_veneto#veneziaunica#veneto_best_pics#veneto_in#loves_united_veneto#venetissimo#ig_venice#veniceinlove#loves_united_italy#loves_united_team#loves_united_details#volgoitalia#labellavenezia#volgoveneto#loves_veneto#venezia?? “Reflecting on the two sides of human nature, the creative and the destructive, as well as the capacity for humans to act and make an impact on history and the environment, Quinn addresses the ability for humans to make a change and re-balance the world around them—environmentally, economically, socially,” writes the Halycon Gallery, which represents Quinn.